My name is Paul Wadkin, I am an Englishman in Slovenia and the owner of Slomskov Mill. I have lived in Slovenia for 14 years, having fallen in love with this incredibly beautiful, clean and safe country. After I had lived here for 4 years I started I started up my cycling holiday business, which has become very successful and many of my guests return many times, as they too love both this country and my tours. On my many cycle training trips I used to ride past Slomskov Mill, watching it slowly decay and promised myself that I would do all I could to own it one day and return it to its original beauty. The rest, as they say, is history. And when you stay here it will be my pleasure to show you round the old flour mill and tell you its story. I have vast knowledge of the region and can be contacted at any time for help or advice. A very warm welcome awaits you at my Mill apartment! Its a fabulous place to stay in both its setting and location. Beautiful rolling hills, vineyards, fabulous views & gorgeous places to eat and drink local produce. Everywhere you go in this beautiful country is safe & perfectly pristine. Slovenes are very proud of their country, & rightly so. Beautiful Slomskov Mill is 115 years old, and totally unique, there is no other like this in Slovenia. The flour mill is still in its original condition but has been fully renovated on the exterior to preserve this National Treasure. When you book my Mill Apartment, the whole apartment is yours to enjoy, be that 2 people or a group of 10. The apartment is on the 2nd floor, the rooms are bright & airy. We have air con. to keep you cool in summer or warm on colder days. There are 2 balconies to enjoy the sunshine and your breakfast, or morning coffee on. Its a fabulous place to just sit & watch the world go by & plan your day. There is a large fully enclosed private garden, free parking, & shade to sit in to enjoy a chilled glass of wine. I can provide, free of charge, very good quality cycles maps & ideas for lunch stops. 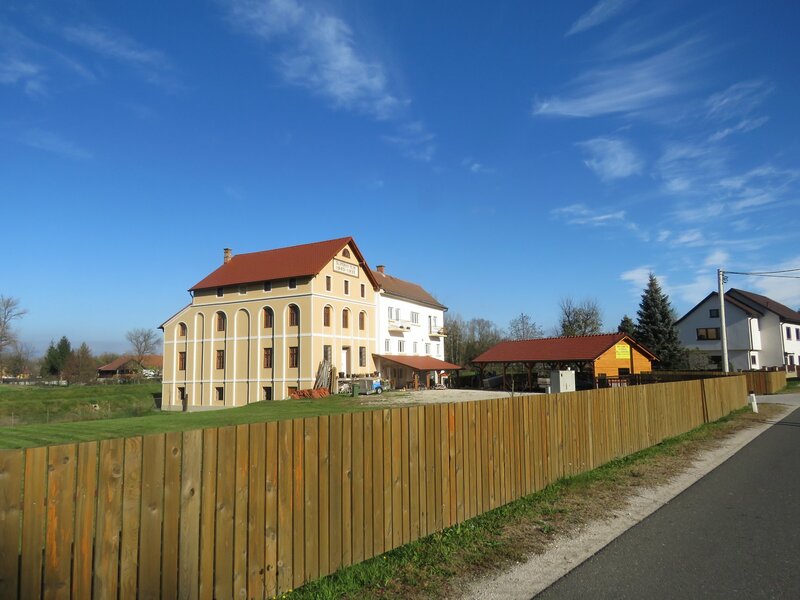 We are located in the north east of Slovenia, only 300 metres from Croatia, 26 km from Hungary and 37 km from Austria, making it an ideal base from which to explore four countries during your trip. There are 4 thermal spas close by which you can visit as a day guest either to enjoy the thermal waters, or indulge in an abundance of wellness and beauty treatments, the Bioterme at Banovci, Bioterme at Mala Nedelja, Moravske Toplice or Terme Sveti Martin, Croatia. All are within 30 minutes drive from Razkizje. The region is a paradise for hikers & cyclists. Jerusalem Hills are only 7 km away, this area is a must to visit. 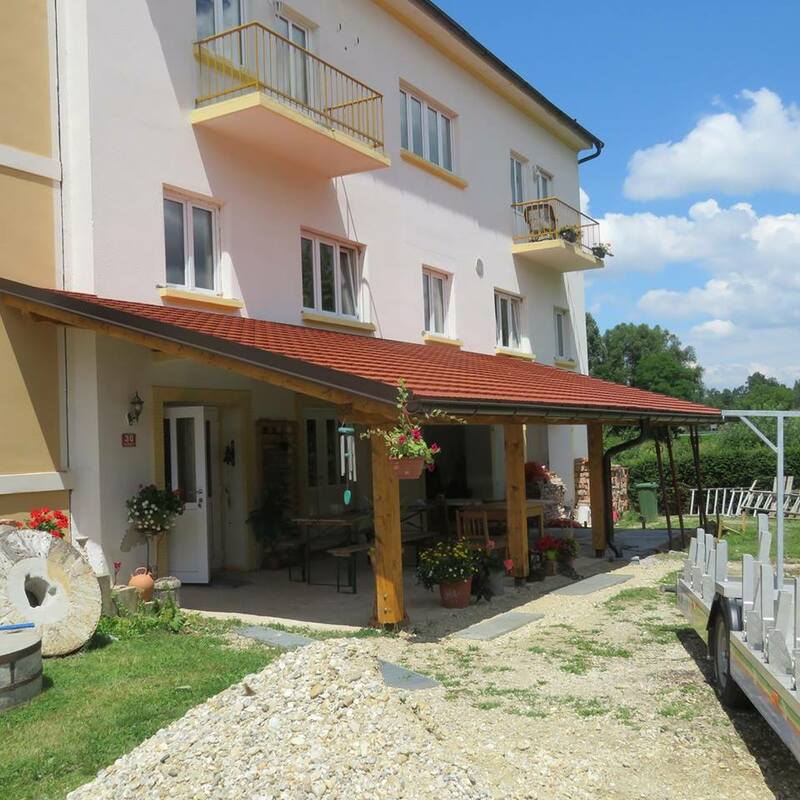 Marked paths & nature walks are within a few meters of the Mill house which takes you along the side of the Scavnica river where it meets the larger River Mura. Designated trails meander through the woodlands & oxbows. There are immediate river walks which can be followed, one to our local foot ferry - a trip not to be missed! 2 restaurants are both within walking distance & open for breakfast, lunch & dinner. A local small shop stocks the basics & is 500m walk, but Ljutomer has many supermarkets for supplies & is 6km distance.